As much as i like to travel, change pace, and see what else is out there.... i HATE packing. I mean really... it might be the absolute worst process in the world. You're taking everything out of it's place.... to put in heavy boxes... to replace stuff in a similar order in a new zip code, state or country. Every time i have to pack/move, i putting EVERYTHING I OWN in the Goodwill/Trash pile. Because it seems easier to just get new stuff than haul all the rest of this junk around (all my possessions became 'junk' when they didnt all fit in 2 boxes). and just a little PS - no matter how little stuff yout hink you have... you always have about 10 times more. Don't forget about that top shelf in the closet, under the bed, and hall closet you never look at. The stuff just NEVER. ENDS. Here are my top 5 things that kept me sane through my packing party. Because you are about to embark on a journey of packing... and will need to be given the will to live and NOT to freak out in T-2 hours. My something-that-makes-me-happy is coffee. If you dont have a "something" picked out... i'd suggest coffee. and i'd REALLY suggest some CB@B. You might think i'm byassed.. but it's amazing! 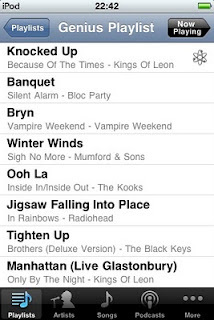 Genius playlist on Kings of Leon "Knocked Up" - it was a great choice for some late night packing! 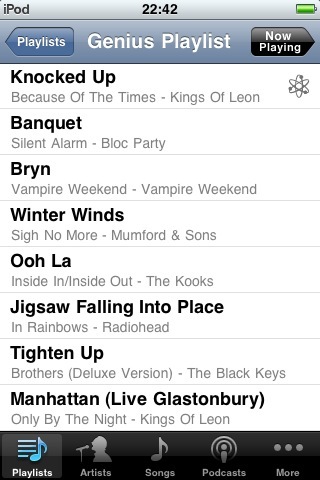 Whatever music moves you and makes you happy (and possibly makes you focus). Just make sure it's all stuff you feel like listening to... because lets be honest; with your stuff strewn all over the house, the iHome will undoubtedly be on the other side of a huge pile you will not be able to climb over. This stuff is just absolute magic. Broken box? Fixed. Awkward bookshelves moving around? Done. Two things rattling is driving you crazy? 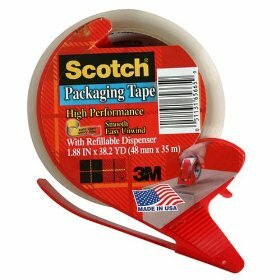 Tape 'em together. Your head is about to fall off? This will hold it into place until you finish packing the kitchen. 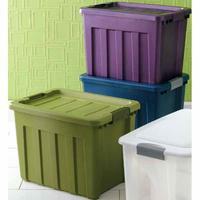 Same-size, stackable storage bins in pretty colors - Praise the Lord. As previously stated, but think you don't have that much stuff - but really, you do. You assume you'll need 4 or 5.... but in reality, you need 20. Save yourself multiple trips to the store, and just buy extras that you can return later. I liked these kinds by Re:Store for Target. i chose purple and grey (to match my room.... that i'm no longer living in. Dang it.) but they had about 10 colors. But purple and grey also make me happy, so i'll go with it. Unfortunately any money you have is savings will now go to purchasing plastic storage bins (starting at $10 a pop!). But at least your stuff will be packed. I wouldn't even BOTHER trying to find boxes. I got 15 of the same container (same size) and will restack them and keep them forever. Don't judge me if i use them as end tables in my new house....i'm trying to be practical here. 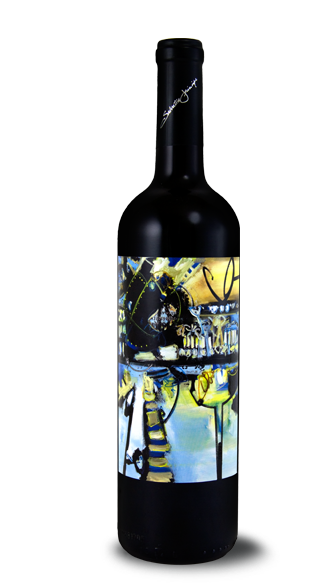 My new favorite wine. Salvatore Zinfandel! I just think you deserve a nice glass of wine after a long day of packing. And every packing party needs a bottle of wine! I picked this up (Salvatore Blue Period Zinfendel) at Target when i went back for my 2nd trip (out of 3 total) for more storage bins. Coming soon - the unpacking/redecorating survival guide. "don't fight change" was the advice i was given by my best friend in a brief gchat conversation today. i had to think about it for a second - am i fighting it? am i trying to control this situation? and i can honestly answer - no. but let me give you some of the back story. for those of you that aren't updated on my current living situation; i live in a lovely condo. just a few shots of my room when i first moved in. there have been a few re arranges, nothing major. purple, grey and yellow are my colors, and i love that purple wall!!!! but 4 months ago, my roommate (she's still my roommate in my head anyway) Ashlee moved to Haiti to be a missionary (learn more about Ashlee's mission here) - and she owns the lovely condo. but it has been confirmed that starting September 26th, she will no longer own the lovely condo. This is great news - because we've been praying for God to work this situation out - because being a missionary in Haiti doesn't really mean you want to have a mortgage back in the states. So this is a good thing. However, i do have to move out of my lovely home. with my beautiful purple wall that i love so much. Although a possibility since Day 1, i was naive in believing it would never happen (something that probably falls in line with "that would never happen to me!" and the invincibility we feel as young adults). but it is what it is, and i have 13 days left in my little home. i like my apartment. i like my walls! i like that i'm the perfect distance between McGregor and 41. i like that there is no gate in my community and i have a pool. i don't want to leave... i just dont want to! But it's next on the agenda. it came at a very interesting time in life, and i really am sad to give this place up, but i feel totally calm about it happening. Which only makes me more certain that it's all part of the plan. living alone is something i never really considered, but just kind of fell into when Ashlee left. i fell into it a little more naturally than i thought, and i kind of love it some times. but i do believe i am built to live life with people, and being alone too much isn't very good for me. i feel it was an important part of my journey and growth, and i'm very thankful for this time. i think my entire experience living in Fort Myers has been an important part of my journey... being forced into things i never thought i'd say yes to (ie, living in fort myers, living alone, etc).... and ending up loving them. So i have no doubt that this next part of the Fort Myers chapter, which most likely involves sleeping on a lot of couches, will be no different in the growth department. i'm embracing the change. even if it's not the kind of change i thought i was looking for. i guess it almost never is : ) and there's something kind of beautiful about that.